Inhalants are breathable chemical vapors that produce mind-altering effects. Several products around the home and workplace contain chemicals that can be inhaled, including glues, sprays, and cleaning fluids. Inhalants are often the first type of drug that kids try since it’s often within reach and they notice the vapor’s effects as soon as the cap comes off the marker. Sometimes it’s not even intentional, but rather the addiction or habit of inhalant abuse develops over prolonged, seemingly innocent, exposure. In the U.S., approximately 3% of children abuse an inhalant before reaching the fourth grade. All those art projects had a secret side benefit that little Jimmy learned to like too much. In the U.S., approximately 3% of children abuse an inhalant before reaching the fourth grade. There are four types of inhalants: volatile solvents, aerosols, gases, and nitrites. Volatile solvents include felt-tipped marker fluid, correction fluid, glue, and paint thinner. 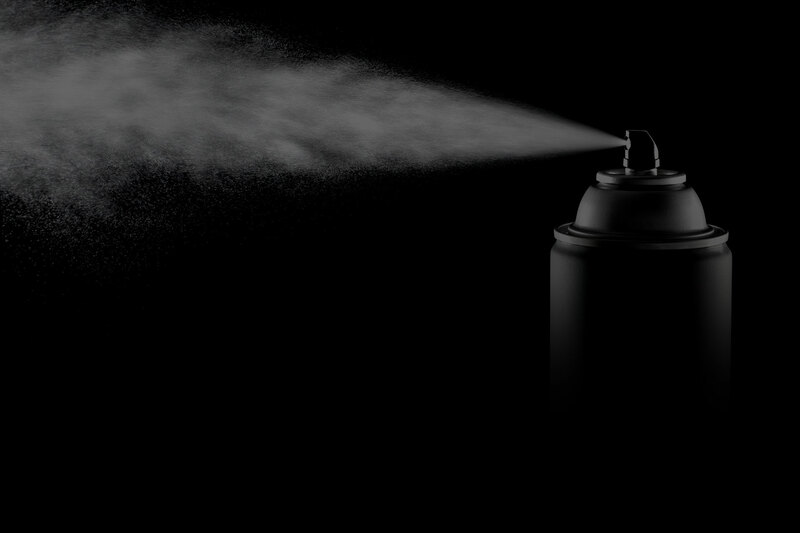 Aerosols include fabric protector spray, computer cleaning products, and deodorant spray. Gases include refrigerant gases, whip cream cans, and butane lighters. Nitrites may be sold as video head cleaner, leather cleaner, or room deodorizer. Getting a kid to put the Sharpie marker away and pay attention is one thing but inhalant abuse is hard to treat if it’s chronic in nature. This stuff goes right in through the nose to the brain and those who engage in inhalant abuse for an extended period may suffer neurological damage as well as psychological and social problems. Victims of inhalant abuse often want to quit but have difficulty doing so because of the intense withdrawal symptoms of inhalant addiction, such as sweating, insomnia, rapid pulse, hand tremors, nausea, vomiting, and hallucinations. Inhalant abuse is a problem that should be taken very seriously. If you notice the above signs of inhalant abuse, seek professional help. Inhalant abuse can cause permanent brain damage and even death, so find an appropriate inhalant treatment center or recovery program before it’s too late. Curbing an addiction to inhalants can be difficult and often requires professional medical help. Anyone suffering from a dependency on inhalants is advised to seek out a recovery program or treatment center, as the withdrawal symptoms of an inhalant detox can be extremely overwhelming. As a result of the detox difficulty and the availability of inhalants in the home or school, relapse rates are high for those working toward recovery. This whole process can have a devastating effect on cognitive function and social skills. During the detoxification process, medications are often used to manage the withdrawal symptoms, prevent seizures and convulsions, and manage intense mood swings. This whole process can have a devastating effect on cognitive function and social skills. A person going through this intense process needs compassion and support from those around him/her. Councilors in an inhalant treatment program help patients to determine why they chose to start abusing inhalants in the first place and teach a process and technique for managing cravings or temptations. Iinhalant addiction can be difficult to weather and often require medical assistance to detox. Treatment and recovery programs provide support, observation, and medical care. Since inhalants are prevalent on every shelf, it’s important to stay involved in a support group. The quick whiff of gasoline at the pump or the funny intensity of a Sharpie marker are deceiving. The prevalence of these chemicals around you makes them seem more harmless than they really are. Some people convince themselves that it’s just goofing around and don’t realize the medical damage or addictive nature of these vapors until it’s too late. It’s important to recognize that huffing harmful chemical vapors is a direct line to your brain and the effects are often incredibly damaging to not only the body but the ability for the mind to function properly. Something that seems harmless can cause lasting damage or even death. Be educated and be careful. A chemical dependency on inhalants can be a very dangerous and damaging addiction and the recovery process isn’t easy. Unlike addictions to street drugs or prescription pills which often require you to go out of your way to procure, inhalants are on every shelf in every school, office, and general store. It can be very difficult to turn your back on these temptations which is why relapse amongst recovering inhalant addicts is very common. Inhalants are on every shelf in every school, office, and general store. The important of an aftercare and follow-up process for recovery cannot be overstated. You have to stay connected to a support system that you trust enough to turn to when the fumes start beckoning. Inhalants can cause very serious, lifelong brain damage if abused. It’s vitally important that you maintain a firm focus on remaining sober and avoiding the urge to huff. You have to stay connected to a support system that you trust. At recovery centers, counselors help patients overcome these addiction triggers and regain sanity and self-control. Patients gradually learn how to make modifications to their lifestyle, learn strategies for preventing relapse, and form connections with those who can help with support in the difficult months and years to come. Continuing to return for follow-ups will help you to stay focused on the daily challenge of sobriety. Your health is important. Surround yourself with sobriety support, not relapse triggers or temptations.